Social media can be a wonder or a curse, depending on your mood, but there’s no getting away from it – everyone who matters is on Facebook and more than one billion people in the World have a Facebook account. 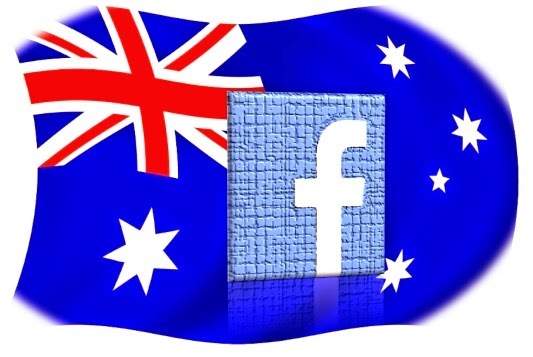 Facebook has 13.5 million users in Australia – a number which has remained steady over the past year. Twitter is way behind, with only 3 million Australian accounts. Keeping up with Social Media platforms can be exhausting, so choose one or two and stick to them – at least until you get used to the platforms and how they perform for you. Set up a page for your business. Use the appropriate Facebook Tools and create a professional page, rather than attempting to create a new personal profile. Pages have many advantages, the main one is you won’t be clogging up your page view with posts from all your ‘friends’. Pages require ‘likers’ who can comment on your posts and send you messages. You have control of your page and can turn off reviews and public posts to your wall. Check your page every day and respond to posts and messages as soon as possible. There’s no better way to lose a potential customer or client’s interest than by ignoring them. Don’t always make it about you or your business. You are trying to get engagement from your ‘likers’, so provide them with something to like. Share interesting blog articles, comment on recent news items, post the occasional inspirational picture or quote or a funny cartoon. You can ask for followers to give feedback on your services or products, but be careful – if there’s been a blunder and you think your feedback may result in an avalanche of negativity, then steer away. Boosting posts has come in for some negative publicity lately. There is a charge for this service but feedback from users has shown the funds spent in this way haven’t resulted in qualified page likers or increased business. Do some research before you spend money on FB and first test the waters with a small investment. Post often, at least every day, but make sure you have high quality posts. Unless your fans have added you to their updates list, the average view will be 16-20% fans who will see each post, and they will see them within the first two to three hours of your update – after that your message will have diminishing impact. Optimally, you should think about posting more than once, at 4-5 hourly intervals, each day. The frequency you choose depends on your audience and what you have to say. Make use of the scheduled post option (the little time clock on the bottom line of the post box (which some users may now find as a drop down chevron next to the blue posting button on the right of the post box). This way you can devote a block of time to uploading a number of posts, which will just pop up at the time and day you specify, even when you’re not at your computer. Download the Facebook app onto your smart phone so you can keep up with what’s going on – just be aware that the phone or iPad app isn’t currently as flexible as your desktop login. View your Facebook insights – these become available once you have 30+ likers. These are a valuable tool, letting you know which of your posts work well and which have less engagement, best times to post for your audience, and interesting information showing where your likers are in the World. Add your Facebook Logo and an embedded link onto your website and email signatures, as well as adding the logo to any promotional material. This will allow your customers/clients to easily engage with you.